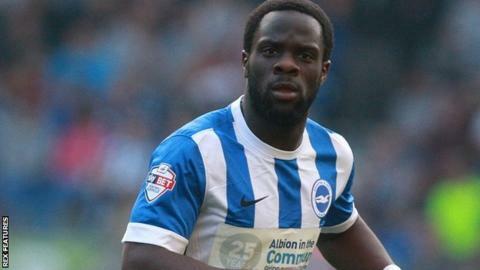 Championship side Huddersfield Town have signed Brighton winger Elvis Manu on a 93-day loan deal. The 22-year-old joined the Seagulls from Feyenoord in August but has made just nine appearances. The former Netherlands Under-21 international could make his Town debut against Preston on Saturday. Terriers boss David Wagner said: "I believe his qualities will fit with our ideas. I'm sure he can help us out this season." Meanwhile, Town have recalled forward Jordy Hiwula, 21, from his season-long loan at Wigan. He scored six goals in 16 appearances for the League One side.